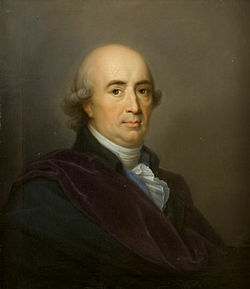 To the extent that the German philosopher J.G Herder (1744-1803) is known in the Anglophone world he someone that crops up in books on the history of nationalism but he’s a much more important figure in Germany – the East German equivalent of the Goethe Institute was named after him. Herder is interesting because you can extract a theory of cultural relations from his thought that runs against the implicit liberal universalism underpinning much of the thought and practice of PD or cultural relations. Human beings are a single species but because they have developed in different environments they have developed different languages and different ways of life each of which captures different human possibilities, Herder talks about volk but he’s quite clear that these is socially constructed albeit rather deeply historically embedded. It then follows that relations between different peoples allows both an understanding of other ways of being human but also allows us to understand what is distinctive about our people. I think that what’s more interesting is Herder’s politics. He was not a big fan of 18th century absolutist monarchs like Frederick the Great, he also rejected Kant’s cosmopolitanism. Following his line of argument then the state grows out of the people and their civil society. Firstly, it gives a different take on the liberal/realist argument. A liberal universalist position would be that we all share common values but are divided by states. The Herderian position would say that this gets things the wrong way round, states are an expression of cultural differences not the producer of them. Yet the Herderian can’t start from a realist position on the ontological priority of states. Secondly, it implies that civil society has a nationality. This is a key insight which often goes missing in thinking about PD. [In fact the whole history of public diplomacy/cultural relations makes little sense without this identification between civil society and country even if not always explicitly conceptualized as ‘nation’] The Alliance Francaise and all those German mittlerorganizations started as groups of private citizens who wanted to do something for their country. Today there may be less willingness to be as explicit but a museum director who is looking for a bigger subsidy in the name of soft power is still making the connection between a culture and national identity. Thirdly, it’s possible to resolve the tension between nationalism and internationalism since being an internationalist is essentially recognizing (and celebrating) that the world is full of diversity. A cosmopolitan universalist would challenge such an argument but the Herderian response would be to claim that such cosmopolitan projects are essentially a form of imperialism. In a nutshell a Herderian view both explains the entrenched nature of difference within the international system and provides a rationale for cultural relations. In doing this it provides a nice counter to liberal cosmopolitan views.